Can you Identify a Fraudster? Maybe I have watched too many episodes of Law and Order: SVU, but I pride myself in being able to read others and anticipate who is the “bad guy” in a movie or TV show before it is revealed to the audience. Being able to read people is a valuable skill to have and, unfortunately, a necessary one because professionals in the workplace may not always be as honest as we hope they will be. In this respect, we cannot let stereotypes bias the way we view our colleagues and others in the professional environment. Before discussing who is most likely to be a corporate fraudster, Professor Bradshaw prompted the class to describe the quintessential fraudster. In our minds, it would typically be the sinister looking professional who is either A) quiet and viewed to be anti-social or B) really aggressive. It is easy to convince yourself that the corporate “bad guys” are going to resemble the ones that you see in Hollywood dramas. 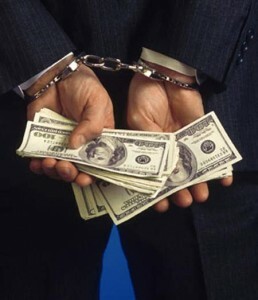 However, statistically, the typical fraudster is not who you would expect. These characteristics, as Professor Bradshaw humorously pointed out, are more believable to be descriptive of the average McCombs professor, not a white collar criminal. I would highly recommend Professor Bradshaw’s class if you are looking for an accounting elective to take! And remember to be wary in the workplace- the fraudster may not be who you most expect! 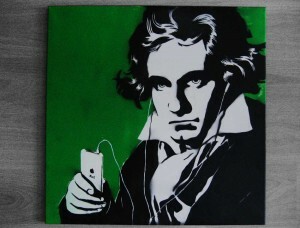 Wonder what Beethoven would have had on his iPod? It’s the time again…first round of midterms is coming up! There are many different views on what makes the perfect study playlist so I thought I’d explore those today. 1. Brain-stimulating/calming music: Everyone has heard rumors/stories of psychology studies that prove classical music has a brain stimulating effect. I haven’t done enough research to know if this is actually true, but I know from experience that a calming playlist full of classical pieces is one of my favorites to study to. In this category, besides the classics, I often find myself listening to artists like Fleet Foxes or Mumford and Sons. These artists’ folk/rock sound has such a calming effect on me and they aren’t too distracting when you are trying to focus. 2. Familiar music: I think it is important to make sure that you aren’t listening to music that is going to cause your mind to wander away from the task you are trying to complete. I read a few years ago in a NYTimes article that listening to music can actually increase productivity. The author says that, “In biological terms, melodious sounds help encourage the release of dopamine in the reward area of the brain.” And if you are in a more pleasant mood, your productivity will increase. For this category I would suggest the 90’s pop Pandora station. These songs have a tendency to increase my mood, but at the same time, I do not feel the need to focus completely on the song and divert from the studying I am trying to accomplish. 3. “Pump-up” music: I know I have talked about Beyonce before (can’t help it!) but sometimes you just need a good pump-up song before an exam. I am a firm believer in my “pre-test playlist” which is full of embarrassing, yet confidence-boosting tunes to inspire me before I take an exam. Listen to Katy Perry’s Roar right before your next exam and tell me that it doesn’t inspire you. A little cheesy confidence never hurts. 4. No music: This is a view by many that the best study music is actually no music at all. In my experience, when I am trying to analyze a problem or memorize a list, no music is the right way to go. Of course, most people, like myself, probably utilize all 4 of these during the course of exam studying. Good luck on exams, everyone! And an extra bit of luck to the MPAs taking CPA exams this semester! I am back with one last installment about my internship experiences this semester. McCombs provides its students with a well-rounded business education and as I reflect on my internship, I realize that I used far more than just what I learned in my accounting classes. 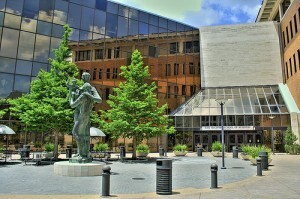 I thought I would share with you all how I used the McCombs core curriculum to succeed at my audit internship. Finance: As as auditor, you will be exposed to a variety of financial instruments for which you need to audit and a background in finance is very helpful. I couldn’t have audited equity if I didn’t first understand present value! Operations management: Throughout the course of the audit, you are exposed to the entirety of the business. As you audit certain areas such as inventory, you will identify fluxes (variances) that will need explanations. With my knowledge of operations management, I understood the nature of a supply chain (obtaining supplies, manufacturing, distributing, etc.) and thus I was able to dive deep into the numbers and understand what exactly was happening behind the scenes. MIS: The MIS department will tell you this, and it’s definitely true- MIS is EVERYWHERE! Whether its the implementation of a new accounting system or database, or RFID tagging on your client’s inventory, you are definitely going to be exposed to a variety of information systems as an auditor. Business communications: My BA324 experience is certainly a cliche one- I was a terrible public speaker (or as my professor so gracefully described it, an “inexperienced public speaker”) and the presentations and exercises in BA324 were crucial to my success in this realm of the business world. As an auditor, you will need to be able to speak professionally with the client. Management: As you move up in the public accounting world, or even if you leave and work in industry, eventually you are going to be in charge of some of your colleagues. And even before that, you are going to be the one being managed. This being said, the concepts that we are taught in management are always going to surround us in the business world. Marketing: One thing that stuck with me from marketing classes, and something that I try to use in my career, is that you have to know how to market yourself. This trait did not apply so explicitly to my actual internship, but moreso the recruiting process that led up to it. I had to know how to showcase my strengths as I recruited so that my potential employers knew that I would be an asset to their firm. I have yet another week at the client under my belt and I am still learning every day. The idea for this blog came to me after an intense conversation about the reality vs. entertainment value of the Kardashians empire. (I’m sure, considering the title of my blog series, you can tell that I am a fan.) 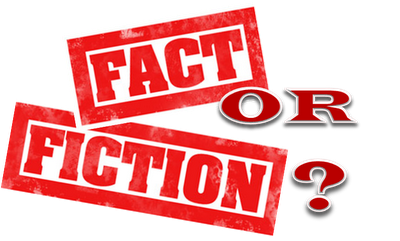 After working for four weeks, I wanted to take the time to dispel some of the rumors that I heard about interning; a “fact vs. fiction” piece, if you will. I understand my intern experience is unique to me; however I still believe that this is applicable to those of you who will be interning in the future. REALITY: FACT/FICTION. This was something that I consistently heard spoken with a negative connotation as I went through recruiting. Although I wasn’t even 100% sure what it meant, I was convinced that it was definitely something I didn’t want. However, I have been on the same client for four weeks now, and I have loved every minute of it. Being on one client for so long has allowed me to get comfortable with the client and with my team. I understand the work that is being done and my team has been able to give me projects that allow me to see a large piece of the audit and even build on my previous work. If I was switching around clients, I doubt I would have this luxury. As far as the ‘working on only cash’ piece of this rumor is concerned, that certainly hasn’t been the case for me, and even the projects that I have done that relate to cash have all been so different and each one was a brand new learning experience. I guess I can’t say this rumor is completely fact or completely fiction, but I do want to dispel the negative connotation that accompanies the idea of working on a client, or within a specific area of the audit, for an extended period of time. REALITY: FACT. After talking with my friends who are also interning right now, we have all been on slightly different schedules, but overall, you shouldn’t expect to leave work at 5:30 every day. We are lucky enough to intern during busy season, the time of the year where there is the most work to be done, and this means we will be working a lot. This being said, the day will fly by – at least it has for me. I have left work anywhere from 8:30-11:30PM but even my longest days haven’t dragged on in the slightest. The great thing about there being a lot of work to be done is that you will constantly be busy; no sitting around waiting for something to do. REALITY: FICTION. As a person who likes to be liked (don’t we all?) this particular rumor really made me nervous. I have had quite a few interactions with the client thus far and I can’t say all of them have been 100% pleasant, but there has never been a time where I felt personally victimized by the client. Even though being audited is a government requirement for accounting firms’ clients, the clients still do appreciate the work we are doing. These are three rumors I can almost guarantee that you will hear before embarking on your internship and I hope that my experience can help you to understand them a little bit more. Happy interning to my fellow interns and happy studying to those of you taking classes! Click here to read Part 4 of Melissa Takes Boston! Did everyone have a happy Super Bowl weekend? 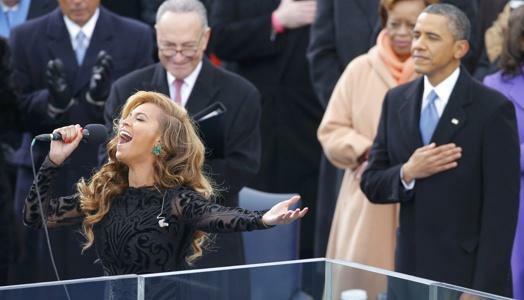 (Or happy Beyonce weekend to those of you whose interests align more with mine.) Beyonce has been very popular in entertainment news recently with the lip syncing controversy and as headliner for the Super Bowl halftime show. I thought I would take some time to share some of my favorite (and applicable) lessons we, as MPA students, can learn from Beyonce. 1. No one can tell you that you can’t succeed. One of my favorite quotes is, “If you hear a voice within you say ‘you cannot paint,’ then by all means paint, and that voice will be silenced.” – Van Gogh. I think this quote can be extended as a solution to any voice you hear that tells you that you cannot succeed. As students at the University of Texas, members of the MPA program, and even interns in the field, there will always been someone who does not believe we can succeed. (Even if it is ourselves.) 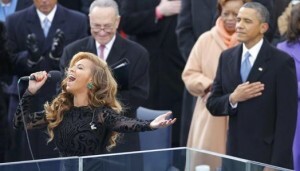 Looking at the Beyonce lip-syncing controversy, when she was criticized for her inaugural performance, she retaliated by singing the National Anthem at the start of the Super Bowl Press Conference. As you go through school and our internships, you have to remember that no one can tell you that you can’t succeed. And when they do, because they will, then prove them wrong. Beyonce’s driven personality and inspiring songs are great sources for inspiration as we continue along our educational paths and soon into our careers. Who do you look to for life lessons and what lessons have stuck with you? Click here to read Part 3 of Melissa Takes Boston!